Barbara is from Glendale, CA. 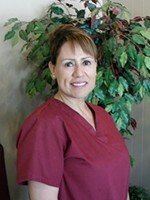 She has been with us since 2004 and loves helping patients with their dental needs. Barbara loves seeing patients smile as they leave the office because they are excited about their dental care. 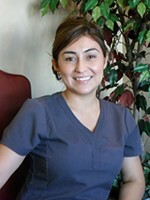 Stella is a Registered Dental Assistant from Los Angeles and has been with us since 2011. As a Chairside Assistant, Stella enjoys working directly with patients and helping them feel comfortable during their appointments. She loves the fact that she gets to help improve the health of our patients. 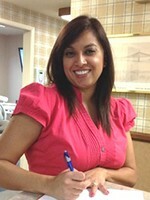 Aura is a Registered Dental Hygienist from Duarte, CA. She has been working with us since 2012 and truly enjoys her job. Aura loves our team and patients, and is very proud of the wonderful care we are able to provide to our patients.